It is extremely important that the PSIR be completely accurate. People v Maben, released for publication on December 10, 2015, addressed challenging the presentence report (PSIR) in criminal cases. The Michigan Court of Appeals held that a trial court must resolve a defendant’s challenge to a victim impact statement in the PSIR that went beyond describing the impact of defendant’s actions on the victim. A PSIR is an important document because it can affect the security classification or parole consideration of a defendant. Michigan court rules require that a defendant be given the opportunity to explain or challenge the accuracy or relevancy of any information in the PSIR. Unchallenged information is presumed accurate. However, challenged information must be addressed and the sentencing court must state that it did not consider the challenged information when sentencing and strike it from the PSIR. The sentencing court in Maben believed it did not have the authority to strike allegations from the victim’s impact statement and that the PSIR was presumptively accurate. The entire statement need not have been stricken. However, the challenged portions need to have been addressed, and were not. Challenging the presentence report in criminal sentencings in extremely important. It can be the difference between getting parole or not; or getting a low security placement or not. The attorneys at LEWIS & DICKSTEIN, P.L.L.C. take the time and carefully review a PSIR and prepare a detailed and authoritative challenge of any inaccuracies that it might contain. The lawyers of LEWIS & DICKSTEIN, P.L.L.C. understand that sentencing is often the most important part of a criminal case. We will take the time to go through the report with you and make sure that you understand its contents and the recommendation. 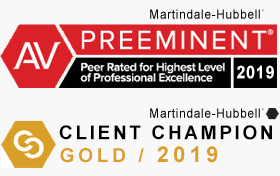 Our attorneys know exactly what to do to either convince a sentencing judge to adopt the recommendation contained in the PSIR or sentence more favorably to our clients than the recommendation would have provided. LEWIS & DICKSTEIN, P.L.L.C. has the reputation for being successful in all area of the practice of criminal law. 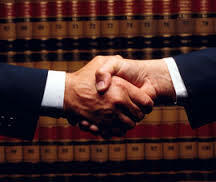 Its attorneys are respected by their peers, the courts and our current and former clients. 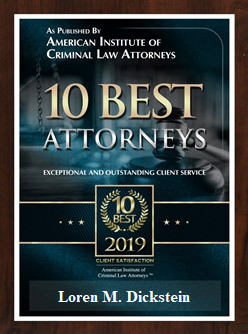 If you have a criminal law matter that you need help with, LEWIS & DICKSTEIN, P.L.L.C. can help. 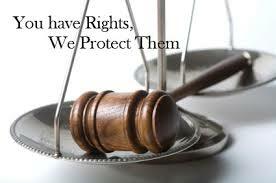 Please call us at (248) 263-6800 or complete a Request for Assistance Form and one of our attorneys will contact you.